Polka Puppet is your go-to store for cute home decor, colourful wall art and all kinds of useful daily accessories in quirky patterns. TV show posters, rakhis, their pineapple trinket cases. They've got super cute gifting items that are actually pretty useful. Their products add colour and spark to your daily life and are super handy too. They've got stuff like nail filers, notebooks, mugs and more that all come in the nicest designs and also for different occasions. 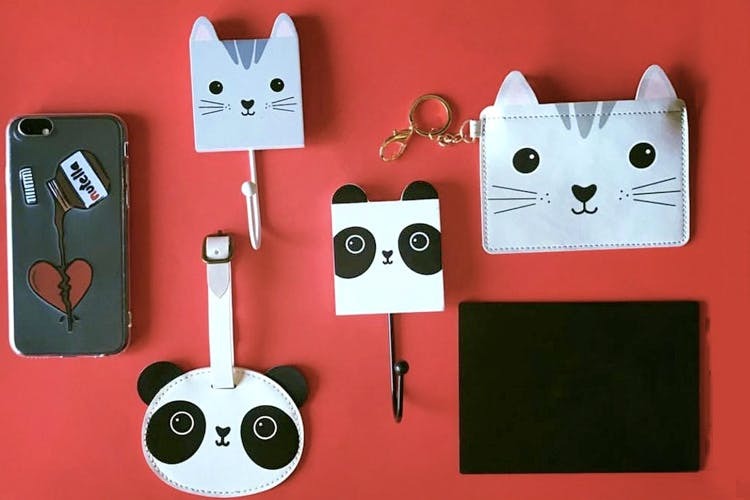 We love their pineapple trinket case for holding your jewellery, their wall art (they have GOT themed posters, motivational wall hangings and carved wall frames), cat coin purse, watermelon and mermaid water bottles and their typewriter poster. Looking for a nice gift for a birthday or an anniversary present? They're doing cute hampers for anniversaries and Rakhis too (they've got some really cool designs). They've recently started doing customised gifts (yay!) so you can check out their stuff and get it customised per your requirements. We wish they had more options for some of their categories. They've recently launched a range of limited edition comic book posters, grab them before they run out.